The history of Redeemer Covenant Church began in November of 1899, when twenty-two Swedish immigrants signed the charter establishing the Swedish Evangelical Mission Church of Camden Place, located in northern Minneapolis. The church outgrew the building on 42nd and Emerson Avenues North, and the decision was made to relocate to the Brooklyn Center area at the intersection of Highway 100 and Osseo Road. 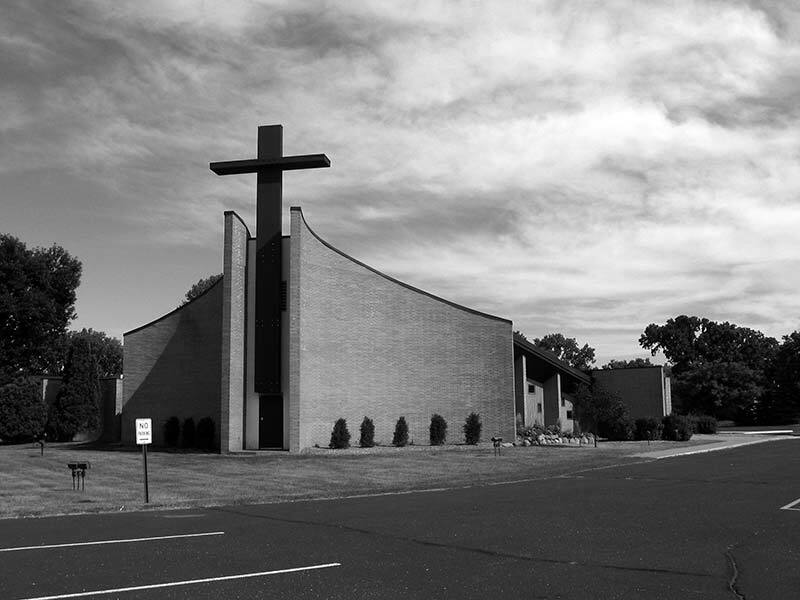 Groundbreaking services were held for the new church in 1955—the Brookdale Covenant Church. Brookdale Covenant Church grew and in 1961 authorized a new church project to begin in Brooklyn Park. Property was purchased at the intersection of Osseo Road (Brooklyn Boulevard) and Douglas Drive. A Sunday School outreach was begun in the Park Brook Elementary School, about six blocks from the site. 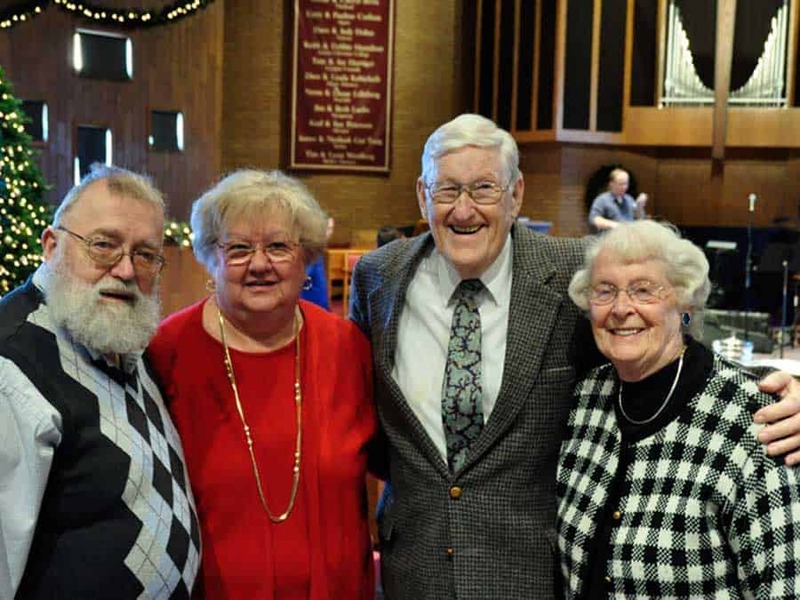 Letters of transfer from the parent church to the new work were requested; and on February 28, 1961, twenty-five members from Brookdale Covenant Church were commissioned for the fledgling church in Brooklyn Park. On Sunday, March 4, 1962, amid a severe winter blizzard, forty-four enthusiastic people gathered to sign the charter establishing a new church in Brooklyn Park—Redeemer Covenant Church. 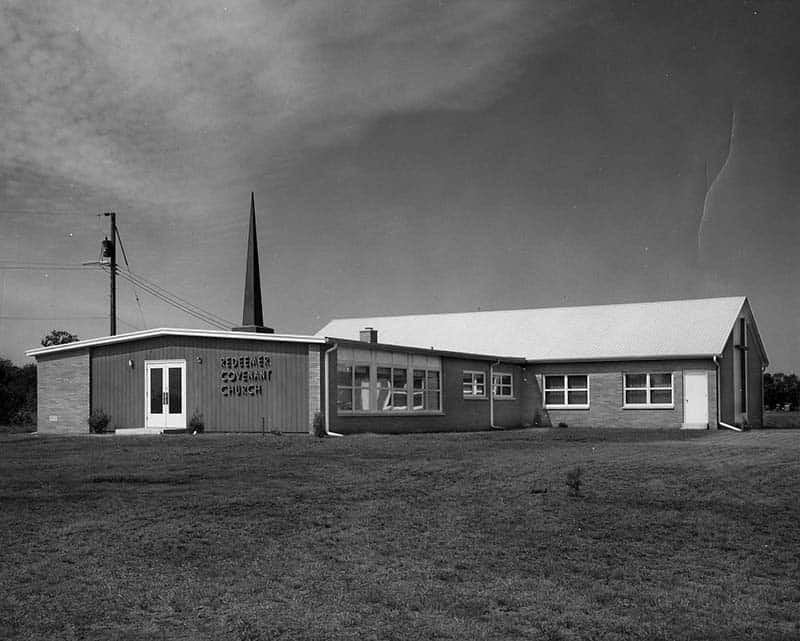 On Sunday, August 26, 1962, the first service was held in the new church building. Several building programs have added to and changed the look of the original little church: 1962—the Sanctuary, Fellowship Hall, Pastor’s Study, Kitchen and East Wing; 1966—Memorial Room and Basement; 1973—East Overflow Area included enlarging the Choir Room, added classrooms and overflow areas for the first Sanctuary; 1974—New Sanctuary, also redesigned former Sanctuary and added Church Office and Pastor’s Study; 1978—Christian Education unit which included Confirmation Rooms and bathrooms; 1983—Multipurpose Room and Sunday School Complex; 1986—Central Hallway from Sanctuary to Multipurpose area; 1997—the R & R (Repair and Restoration) Task Force—refurbishing of the Sanctuary, sound system, Multipurpose Room, classrooms, hallways, and bathrooms; 2007—new church sign with digital display was installed along Brooklyn Blvd; 2013—garage unit built; 2016—ongoing parking lot upgrades. On October 25, 1987, one hundred members of Redeemer Covenant Church were commissioned at a Sunday service to begin a daughter congregation in Maple Grove. In 1976—AWANA ministry began; 1990—Stephen Ministry was started; 1989—our first Homecoming; 1994—we moved to two different styles of Sunday morning services: 8:30 Worship (traditional) and 11:00 Celebration (contemporary); 1998—our Summer Children’s Ministry Program was initiated; 2000—was the birth of Disciple U (previously known as Sunday School); 1998—was our first annual Taste of the South—(today all the proceeds go for Covenant Pines scholarships so all kids can go to camp); May 2001—the HIP club began as a outreach to Junior High students in our neighborhood. Redeemer celebrated its 40th anniversary with a banquet on May 17, 2002, and music reunion on September 8, 2002. Recent years of growth at Redeemer have emphasized intentionally reaching out to our surrounding community, continuing to build relationships beyond the doors of the church building. Working with Second Harvest and nearby Revive Brooklyn Park Church, Redeemer Covenant Church provides volunteers to distribute free food to anyone who needs it. Over 500 families are served monthly. The annual Taste of Africa celebrates members and friends with a rich African heritage. This event includes colorful dress, a concert of praise music, and a full meal where ethnic foods can be sampled. In 2008 a partnership was formed with La Bendición (The Blessing) Covenant Church to share facilities plus many events, while providing a separate Sunday afternoon service for Spanish-speaking friends. The Hispanic Heritage Festival is an annual event in September sharing the customs, dress and food of our Latin American friends. Summer 2010 was the inaugural season for Kickin’ Kids Soccer camp which was enjoyed weekly by almost a hundred children coming to learn basic game skills while developing sportsmanship and character qualities. Parents of players were greeted by volunteers building connections with Redeemer’s programs for all ages. August of 2010 brought 525 people to our grassy soccer field for the 46th annual Corn Boil feast to kick off the fall season of church events. Grateful for Redeemer’s 50th Anniversary Celebration in April 2012, members enjoyed glimpses of our heritage through special events all year long. In 2013 Redeemer approved the Leadership Team style of governance, with many active Ministry Teams such as Care Ministry, Missions, and event-oriented teams. New Ministry Teams are being developed regularly. In the past few years, our compassion and community involvement has found expression in Families Moving Forward, hosting homeless families for a week a few times each year. 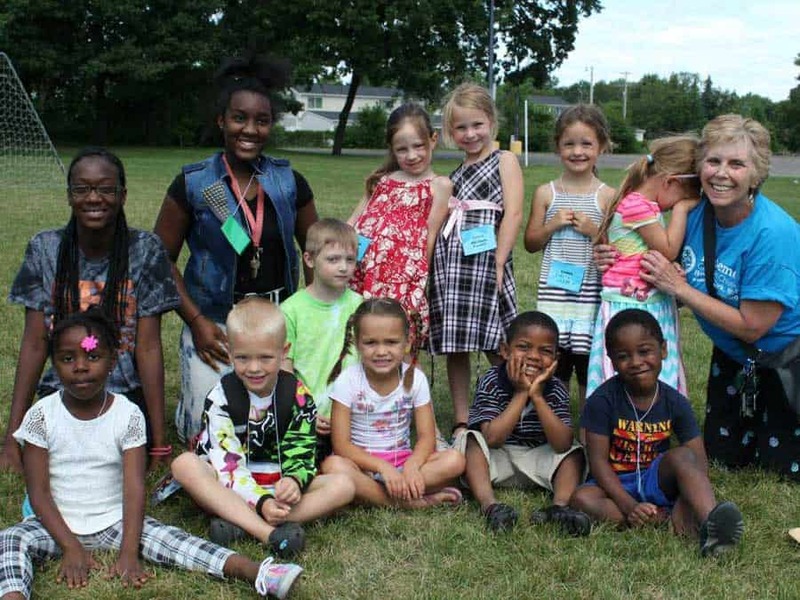 AWANA transitioned to Kid’s Club in 2015, a better fit for our neighborhood children. English as a Learned Language Class is offered on Wednesday evenings. Redeemer supports our Zanewood Community School with a winter clothing drive and on-site meals for teachers during parent-teacher conferences. In 2016 our Sunday classes hour was renamed Education Hour.